Sharpie is the go-to brand when it comes to permanent markers, but they might not be your first thought when it comes to pencils. Sharpie is looking to change all that with their new permanent pencil. 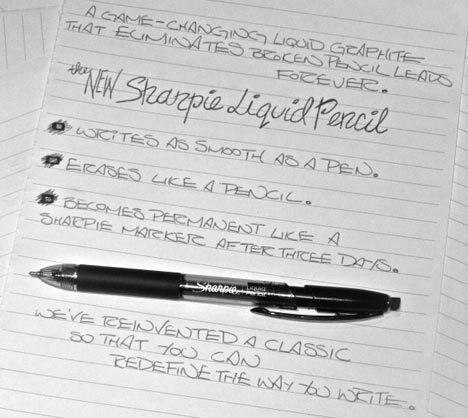 The new pencil uses a new liquid graphite ink that turns this pen into a liquid pencil. The liquid graphite is erasable for three days, after which the “ink” becomes permanent.